EM growth is already at the weakest in 20 years barring the 2008 crisis. Global trade is already flat on its back, while emerging markets trade is in clear recession. In volume terms EM imports have shrunk 2.6% in first 8 months of 2015. Global growth is weak, but global trade is much weaker than has been associated at this level of growth, suggesting a change in the beta of trade growth to output growth. Weak exports will hardly be a surprise for anyone. In value terms, trade may also improve next year, because of weak commodities and a stronger USD. The deficit in certain countries current accounts is slowly narrowing. India and Indonesia deficits don’t present a big problem in themselves, and the larger deficits of Brazil, South Africa, Turkey, Colombia and Peru have also shrunk in USD terms. Commodity prices have already plummeted: Based on CRB raw industrial prices, commodities have now slipped to their lowest average level of the last 20 years. They have been falling since Q2 2011, but the decline since April 2014 has been significant. Coal, oil, iron ore, nickel and Aluminium are particularly weak. Over the last 5 years, emerging market equities have already underperformed developed market equities by 60% and in addition to this emerging market bonds have also underperformed US T Bills by 27.5%. The USD has rallied 43% against a spot basket of 20 liquid EM currencies and EM sovereign spreads have been flat against an average of US and EU high yield spreads, despite being rated higher. In addition to this, we may well see other factors come into play, such as China’s new stimulus package, which will help boost its economy. With a recovering China, this will boost the entire region and even global growth. In addition to this we may see reforms from a new government in India or Indonesia as well as the chance for reducing sanctions on Russia and Iran. 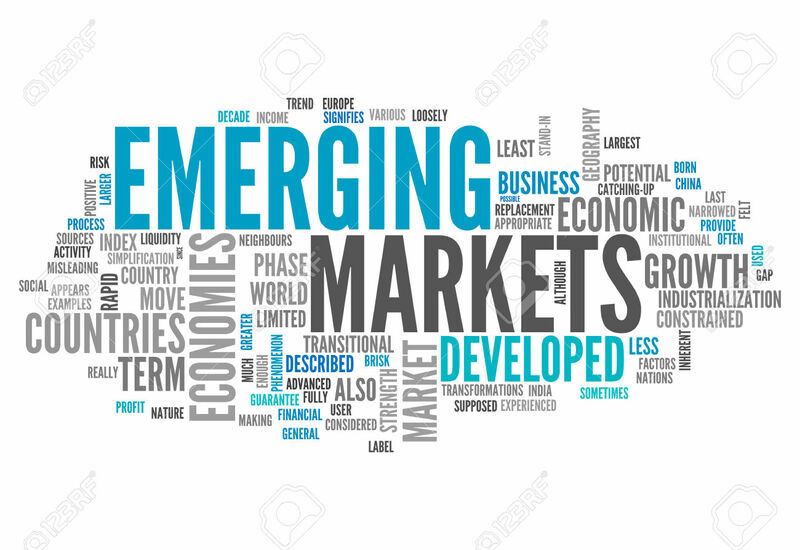 While EM’s are likely to continue to experience volatility in the short term it seems increasingly likely that the worst is over and it may be time to once again begin considering a healthy level of exposure. « What you ought to know about the falling Malaysian Ringgit and why it will not recover soon!